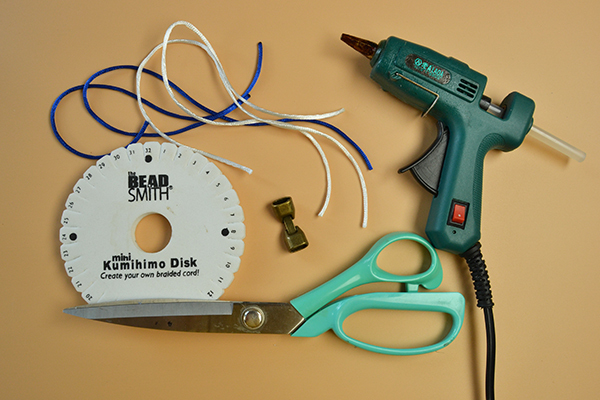 Summary: Wanna learn DIY kumihimo friendship bracelets? 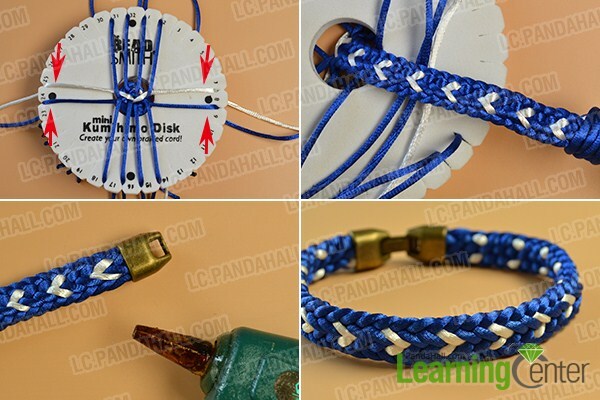 This Pandahall tutorial will show you how to make a blue kumihimo braided friendship bracelet. 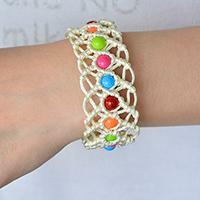 Are you looking for kumihimo bracelet designs? 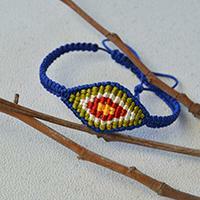 Maybe you can have a look at today's blue kumihimo braided friendship bracelet. The supplies are minimal. 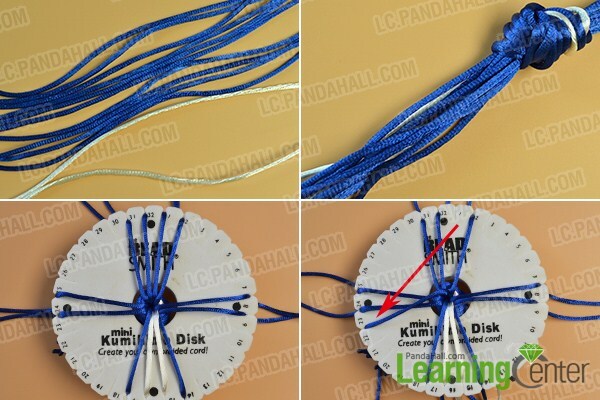 Now, let's see how to make the blue kumihimo braided friendship bracelet. 4th, move the third blue nylon thread (on the top) to the nether part of the two left blue nylon threads(as shown in the picture). 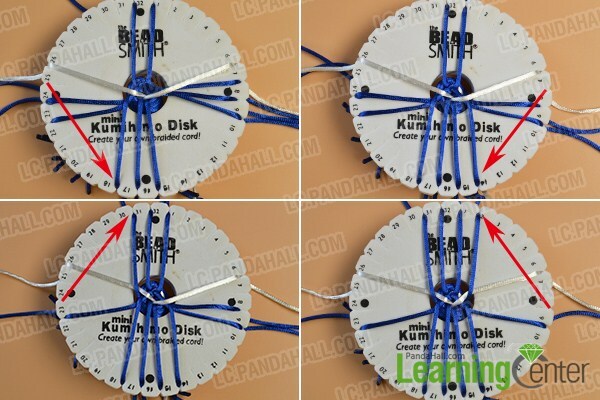 4th, move the two blue nylon threads (on the top) and two blue nylon threads (at the bottom) to the space beside the two black points (as shown in the picture). 4th, move the second blue nylon thread (on the right) to the right side of the two top blue nylon threads (as shown in the picture). 4th, connect the two ends of the blue kumihimo braided friendship bracelet together. Here is the final look of the blue kumihimo braided friendship bracelet. Do you love the blue kumihimo braided friendship bracelet? 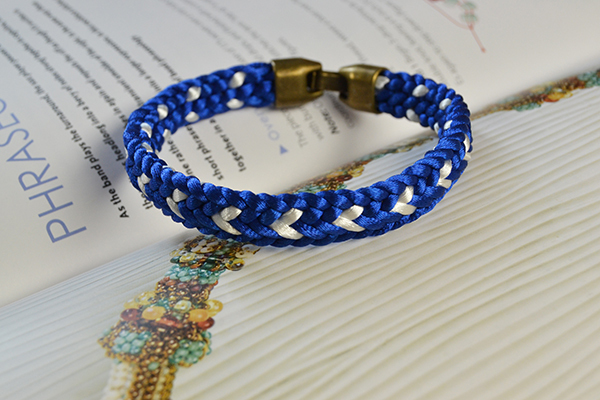 This blue kumihimo braided friendship bracelet will be a good gift for men. 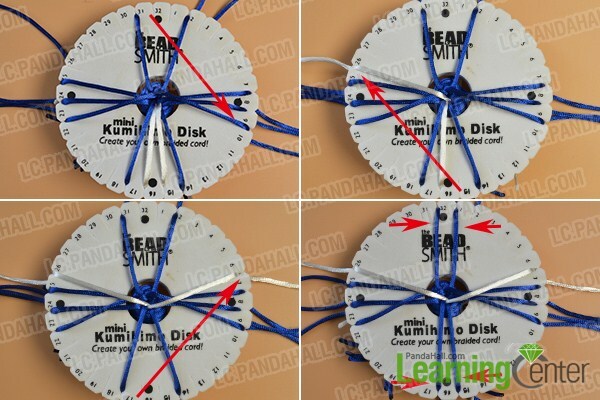 The kumihimo techniques are not difficult to learn. Have a try by yourself!